Are you or a loved one suffering from a drug or alcohol addiction? We understand that battling any form of addiction is difficult. Why private rehab treatment near Sheffield? When overcoming a drug or alcohol addiction, it is vital to eliminate all distractions and temptations. The best way to succeed is to leave your current environment. By choosing a residential rehabilitation facility, this allows you to forget the outside world and solely focus on overcoming your addiction. By choosing private treatment, you can benefit from a fast admission process. In most cases, you could be receiving treatment within 24 hours. As each patient has their own unique set of circumstances, you will be assessed and given appropriate drug or alcohol withdrawal treatment based on your situation. Once the addictive substance has been removed from the body, the psychological process can begin. For all patients, it is essential to explore and fully understand the primary cause of the addiction. Patients greatly benefit from rehabilitation, as this gives the tools and skills necessary to avoid any relapses in the future. Anyone that goes through the rehabilitation process can benefit from therapies such as Cognitive Behavioural Therapy, known as CBT, and the world renowned 12 Step Approach. When you are ready to leave Linwood House and return to normal life, you will have the tools and skills necessary to help you resist any temptations related to your addiction. 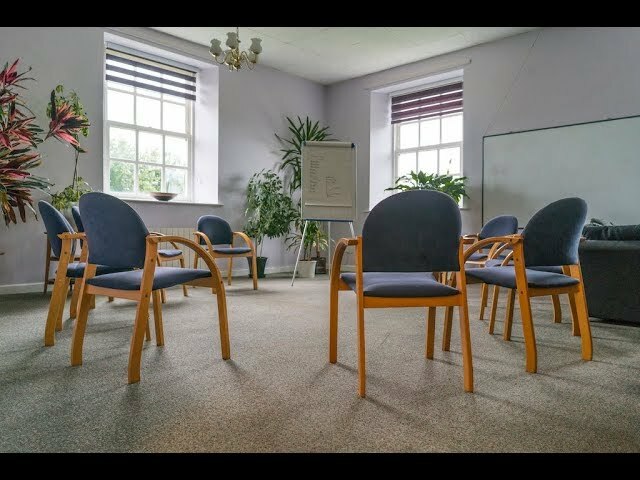 Why choose Linwood House for drug and alcohol rehabilitation near Sheffield? We understand that overcoming an addiction is not an overnight achievement. Working towards recovery takes time, courage and determination. Patients that have spent three weeks or more at our facility, will benefit from 12 month's free aftercare. If you're looking for drug or alcohol rehabilitation near Sheffield, we are only 30 minutes away. This allows you to feel closer to home and gives family members the opportunity to visit. We take the hassle out of transportation for patients in Sheffield. Are you worried that you or a loved one may be suffering from drug or alcohol addiction in Sheffield and require professional support? Call us on 01226 422 545 for a confidential chat.